I am so blessed to me a mom and am greatful for my mom, my sweet grandmother, my wonderful mother-in-law and all of my “adopted” mom’s (I have many)! Happy Mother’s Day to all! With all of these great reviews, you have to give these a try! The Sweetened Whipped Cream really make these pancakes a treat along with the sliced strawberries (and blueberries if you like). The only change to this pancake recipe is adding just a touch of vanilla to the batter. The Homemade Thick Buttermilk is key! I have made my own buttermilk just using milk and vinegar (or lemon juice) but disappointed at the runny texture. I guess I am just used to the stuff in the store that is much thicker. My version is nice and thick! Gently fold in egg whites to batter. 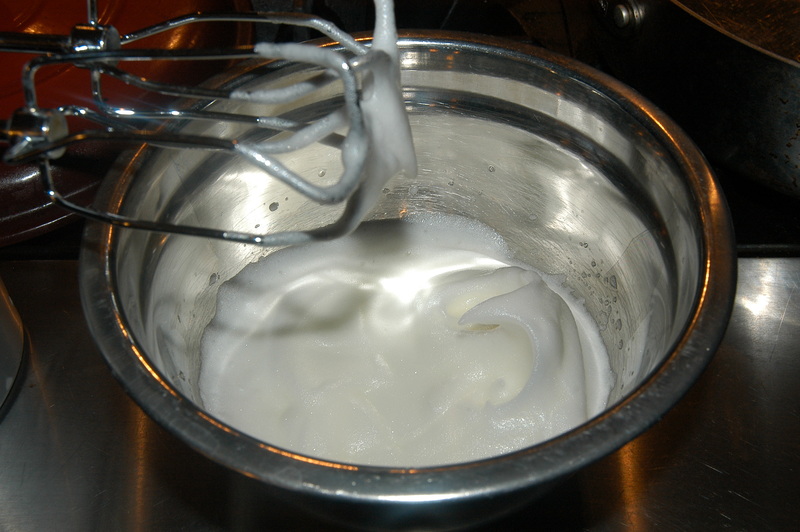 If there are still a few pockets of egg whites, that is ok. Don’t over mix! *Fry these babies in salted butter.. it makes all the difference. Carefully flip. Be sure not to crowd pan. Not only are these delicious but they can be made in advance and placed in the toaster to reheat so make a few batches and freeze. You can’t find this quality of pancake in the freezer section at the grocery store. 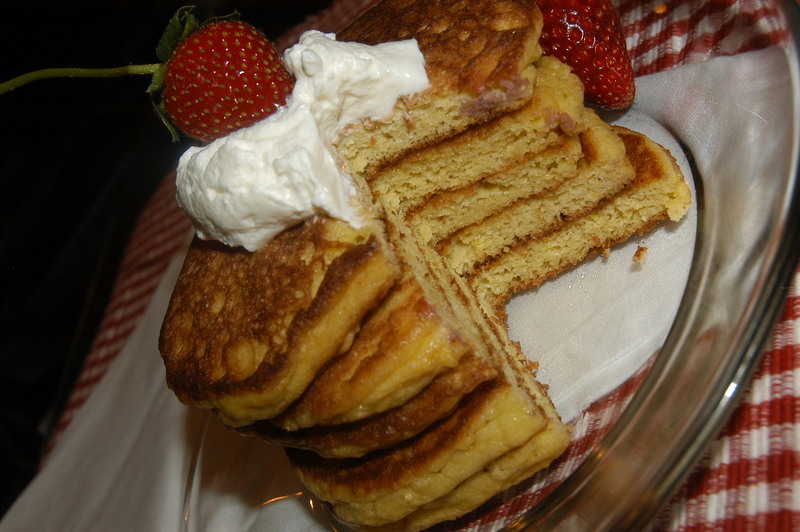 What makes these pancakes so fluffy? The “puff” comes from 3 forms of leavening: baking powder, baking soda as well as beaten egg whites. Be sure not to over beat egg whites or they will not fold into the pancake batter with ease. 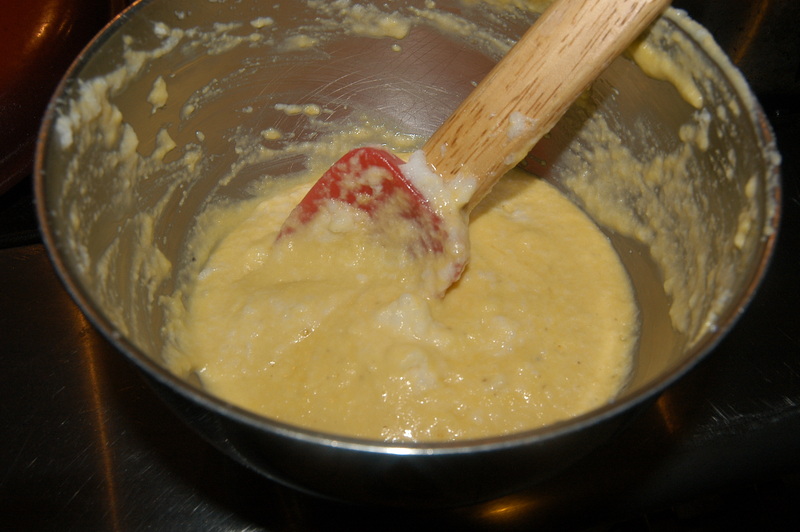 Don’t over mix your batter! **Want to make these Dairy Free? Simply use expeller pressed coconut oil (so the pancakes won’t taste like coconut unless you want them to) and coconut milk (homemade or the kind in the can without all the junk in it) instead of buttermilk. Don’t forget to add 1/2 tsp of raw apple cider vinegar to your batter! Blend dry ingredients in a medium bowl. 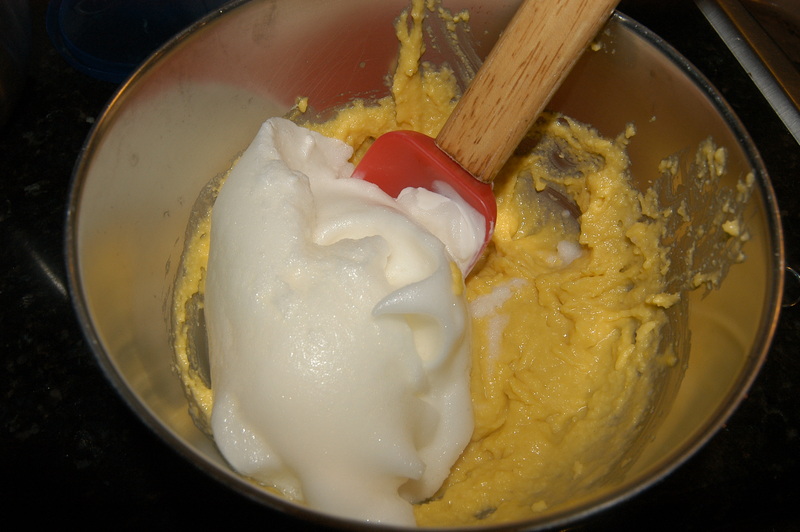 In a separate bowl, beat egg whites with hand mixer until SOFT peaks form. Add egg yolks, butter and buttermilk to dry ingredients. Blend well until all ingredients are incorporated. Gently fold egg whites into pancake batter. Do not over mix. Enjoy with Strawberry Glaze or Sweetened whipped cream with berries (see below). In medium bowl, beat heavy whipping cream, vanilla and stevia until stiff peaks form. Refrigerate until ready to use. Top pancakes with whipped cream and berries. Whisk ingredients together. Allow to set for at least 5 minutes before using. Refrigerated any leftovers for up to 1 week. 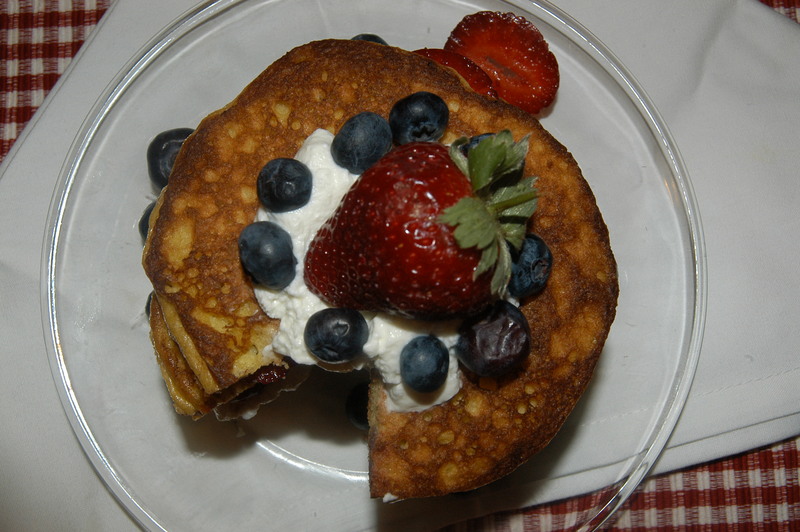 ** If you like this Pancake recipe and don’t have my cookbook, Satisfying Eats, check it out! Over 250 Grain-Free, Sugar-Free & Low-Carb recipes and over half are Dairy-Free too! Haven’t tried the strawberry but blueberry insanely good!!! I’ve tried these and they are very good–just like everything else I’ve tried from your site. Thanks! 1. I also have no patience for separating eggs, so I just threw the eggs in a blender first, and blended till nice and frothy (less than a minute), mixed all the other ingredients in a bowl then added my frothy eggs (I did blend them real quick again right before adding, to make sure they were still frothy). Came out just as good as when I separated eggs. 2. My only problem with this recipe is that I can never get 5 pancakes out of them. 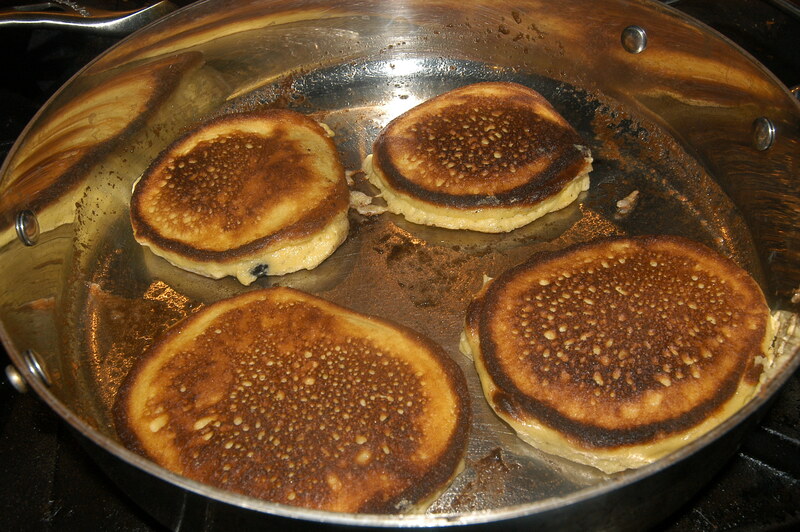 I always have to make a double batch, and the most I’ve ever gotten out of a double batch was maybe 7-8 pancakes. But these are nice. They are now my go-to low carb pancakes Thanks!